grow sweet baby grow! :-) We can't wait to meet you! You look beautiful!! 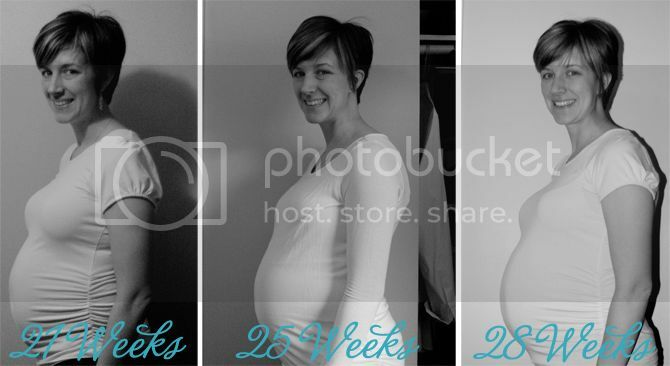 Pregnancy suits you wonderfully! you are super cute. i am getting super fat and not running any miles, only eating. and i think that only burns 13 calories per meal. so i'm pretty sure i'll beat you in fatty-ness easily. who cares though...this is the time, my friend. blow it up!